The sheet extrusion process mirrors the profile steps with the exception of cooling. For products such as plastic sheeting, the cooling is achieved by pulling the material through a set of cooling rolls. Once the product has cooled, it can be spooled, or cut into lengths for later use. 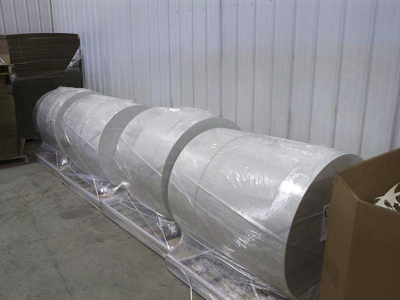 Pro Ex Extrusion manufactures roll stock and cut sheet for both the thermoforming industry and lithographic industry. We work with several experienced printing partners to apply eye-catching high-quality graphics to your products.